If you called the offices of the National Low Income Housing Coalition yesterday or this morning, it would have been hard to get us on the phone. Twice yearly, we host our state partners in Washington, D.C. for meetings, education and networking, and we’ve been busy hosting our second meeting of the year this week. For many state partners, the highlight of the autumn state partner meeting is today’s visit to HUD and the White House. NLIHC organizes these meetings with HUD and Administration staff for our state partners, who ordinarily would not have the opportunity to meet with these officials. During our meetings, we discussed potential funding sources for the National Housing Trust Fund, as well as a number of regulatory issues important to low income people. Enforcement of Section 3 regulations, which require organizations receiving HUD funding to employ low income people “to the greatest extent feasible” with those dollars, is an issue HUD has been addressing recently and our state partners received an update on HUD’s progress. (You can learn more about Section 3 in the Spring 2011 issue of Tenant Talk.) We also discussed demolition-disposition, HEARTH funding and regulations, housing counseling, rural housing issues, and the Tenant Resource Network. Staff from the White House, as well as HUD Secretary Shaun Donovan and a number of other HUD officials and staff, listened carefully as our state partners and board members shared their concerns, as well as their praise. NLIHC is fortunate to be able to facilitate a partnership between state advocates and federal officials. Want to become part of this partnership? 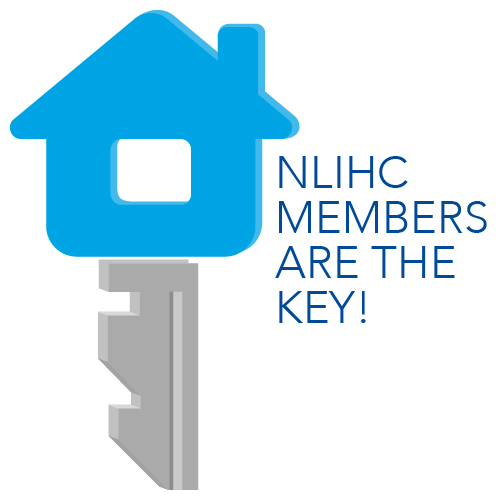 Join NLIHC today.